There are a few more days left on my Patreon deadline and I’m working very hard to wrap things up before Legion launches and explode everything. To my patrons and people who might be interested in owning this month’s art, here’s a sneak peek of what’s in store for the August rewards! Deadline for this month’s art is August 31st. Legion seemed so far off, like a speck in the horizon. Then one day that speck was suddenly a massive Legion invasion that gob-smacked you right in the face. Legion is here, the big launch coming only in a few short days, and I’m having last minute panic over all the things I need to get done before then! But the hype is real! Renewing Mist now costs 3% of base mana, up from 2.8%. Mastery: Gust of Mists now heals for 10% per spell point, up from 8.5%. August 30, Tuesday – Launch! Mythic Dungeons open after weekly reset. September 20, Tuesday – Emerald Nightmare Normal and Heroic opens! Mythic+ Dungeons become available! September 27, Tuesday – Emerald Nightmare Mythic and the first wing of LFR opens! 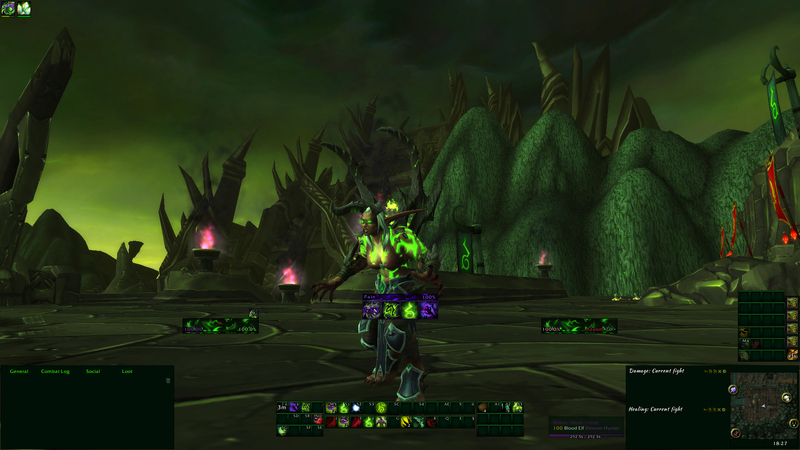 October 11, Tuesday – 2nd wing of Emerald Nightmare LFR opens! October 25, Tuesday – 3rd wing of Emerald Nightmare LFR opens! Nighthold (Suramar Palace) raid will open sometime early 2017. Demon invasions are live even in Europe now, and with it came a horde of Demon Hunters! 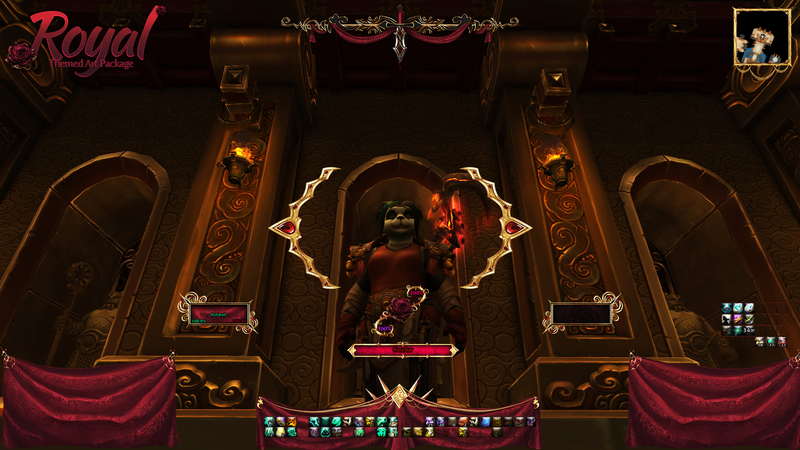 I happily logged on to my new fresh DH only to burn my eyes on an ugly default UI. While I’m not planning to devote that much time on my Demon Hunter (Monk for life), I do want all my alts to have a functional and pretty UI. So I got to work! Follow the instructions and install the textures with SharedMedia (there’s a small guide that comes along with the texture package). The textures should now show up in the texture drop-down menu on all your addons. Since Europe does not get the Demon Invasions, Demon Hunters, love and affection until tomorrow (lucky ‘muricans! ), I’ve had time to set up a small store on Gumroad for my old Patreon rewards. Now’s the time to freshen up your UI! Gumroad is a very easy-to-use digital shop, where you can buy all my old Patreon rewards. The rewards are sent in entire monthly packages (a.k.a. each package contain ALL the rewards from that month) at a price of $35. Midnight, Minonan and Cyber are sold at a price of $30 due to not having the Texture Package and Border Package (those are a later invention). Patreon rewards are uploaded on Gumroad one month after its initial release. This is to keep the benefit of being a patron. Royal UI will be up in the beginning of September. This option is not yet available, but I hope making it it live in the near future. The idea is that there will be a sixth tier on Patreon at $35, where you get the latest UI + one old. So, if you pledge for this tier, you get all the newest reward and a voucher for my Gumroad shop where you can choose from my archive of old rewards. It’ll be a more affordable alternative than buying directly from Gumroad, but require a little patience since the rewards will not be sent out until 1-7th of the next month. I’m lagging a little bit behind the news cycle, but better late than never! Mistweavers have received hot fixes since the launch of pre-patch that I’d like to talk about with a big cup of steaming hot tea. A double, with something extra, please. Refreshing Jade Wind now heals for 297% of spell power, up from 225%. The Jade Serpent Statue now properly assists the PvP talent of Soothing Mist; Ancient Mistweaver Arts. The Jade Serpent Statue now stops channeling when the Mistweaver stops channeling Soothing Mist. Soothing Mist should no longer fail to channel when repeatedly applied. It’s obviously a bit of a disappointment that the Statue hasn’t its own duration of the Soothing Mist channel, I quite liked that. The talent still has value though, due to being the only talent in that tier that boosts single target healing (though I recommend to always combine it with Mist Wrap), which is often need when healing dungeons. EDIT: And statue has its own duration again. Thank you all who supported me on Patreon this July! The rewards packages containing the art has been sent out to eligible patrons, so here’s a small post to get you started on your new UI. I hope your creative journey will be awesome and rewarding!